How would you like a reel that performs like a $250 reel but only costs a hundred bucks??!?!? After careful consideration I purchased one last year and I love it. Now normally I stick with the old "you get what you pay for" motto but when I saw this reel, took it apart and read all of the online reviews I decided to give it a shot. I was glad I did. After using older baitcasters I was very surprised to see the advances in this reel. I could never throw a wacky worm with my old baitcaster, even after I took it all apart and lubed it up I could only get it out there with a hard overhand cast. With this new reel I can pitch a wacky worm with ease. So lets talk a little about the construction of the reel. Bass Pro Shops! It is their Pro Qualifier and retails for $99.99 USD. It is worth every cent and every now and then you can get an even better deal when it goes on sale. 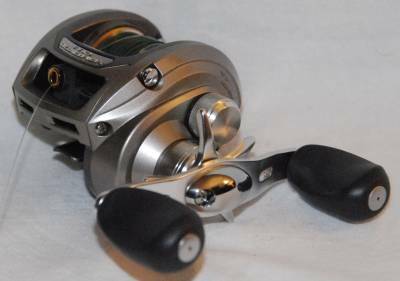 If you are looking for an entry level baitcaster or a replacement for an old favourite this reel can be both.